To update the NS- records of your domain registered through service www.domen.interstol.ru, need to do the following steps. 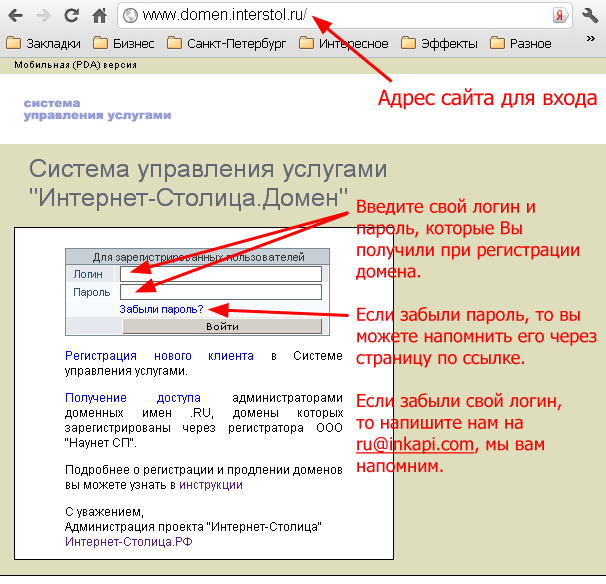 Open the website www.domen.interstol.ru and enter your username and password, previously obtained for domain registration. If you do not remember your password, you can recall the password using the form on page. 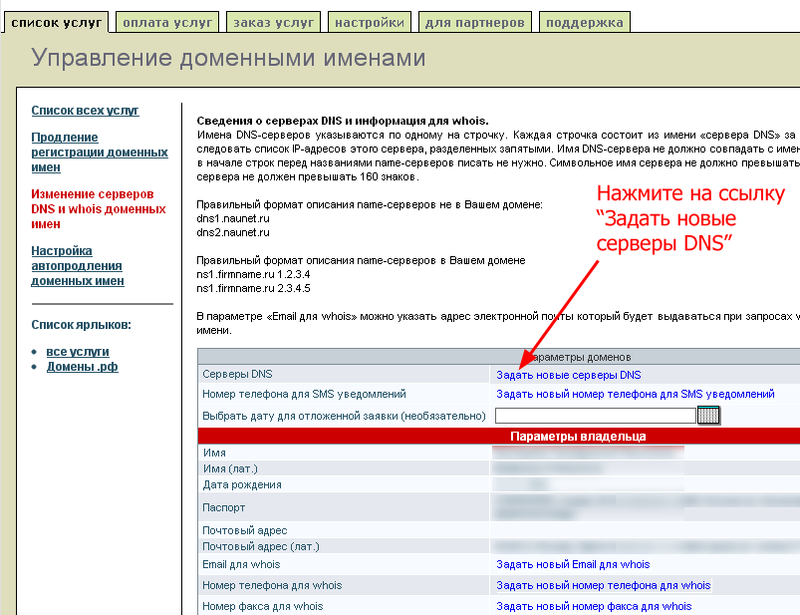 On the next page for each domain, in front of which are specified ns1.mr-web.ru and ns2.mr-web.ru, check the box. Above the list of domains have a dropdown list with the inscription "Select an action". Click on it and select "Changing DNS and WHOIS". Click on the link "Ask a new DNS servers". Select "Inkapi" drop-down list "Other DNS servers". Click on the button "Send a request to change". Change of NS- records made. You can close the browser window.